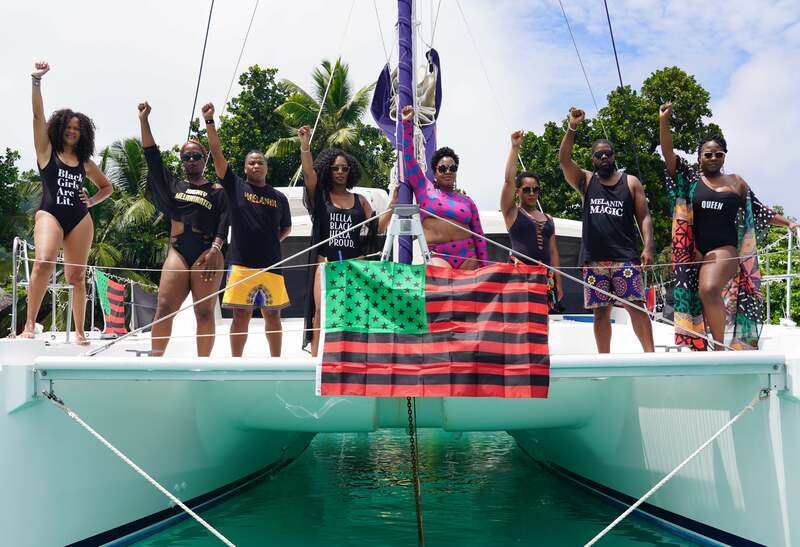 If you’ve ever sailed the seas of Croatia or Thailand for The Yacht Week, a series of floating festivals that simultaneously occurs in multiple international cities, then you know that there is one significant thing missing from the overall experience — melanin. While you may see a few specs of color here and there, the event was not designed with Black travelers in mind. So, entrepreneur Kelsey Horton sought out to change that. 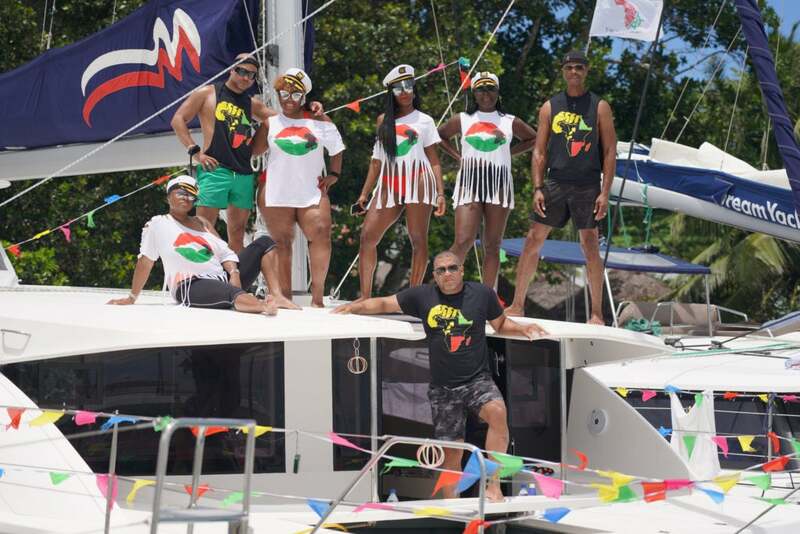 The Chicago native, who three years ago, uprooted his life to fully immerse himself in the beauty of Africa, decided to not only create a yacht festival experience that Black folks would love and enjoy, but that would also promote travel to the diaspora — specifically, East Africa. From there, Yacht Week East Africa was born. The event, which has doubled in size in just two years, is picking up momentum by the moment. Having set sail in Tanzania, Zanzibar and Seychelles, Horton wants to continue to show people just why he loves East Africa so much. And, that will start with expanded sailings in 2019 and plans to launch land experiences as well in the future. In this interview with ESSENCE, Horton explains why he created Yacht Week East Africa and for the culture. Why was it important for you to take the Yacht Week concept to Africa? Yacht Week East Africa is really a combination of a few things. First, it comes from identifying a gap. For the past 10 years or so, there have been sailing and yachting events that take place in Europe and they’re very well attended. They’ve even started to expand outside of Europe to Asia and the Americas. While attending the sailing events in Europe, one thing I noticed through that expansion is that they totally overlooked Africa. Africa wasn’t on their radar at all. I’ve been living in East Africa for the last three years, and as I’m at these events in Europe, I’m saying to myself: They’re overlooking Africa when it’s just as beautiful, if not more beautiful than where the current events are being held. Then the other was my entrepreneurial spirit, along with my passion for sailing. Even before all of that, it was my commitment and dedication to Africa and the diaspora, as a pan-African myself, and rewriting the narrative. I wanted to showcase just how beautiful and sophisticated East Africa really is. What makes Yacht Week East Africa different, outside of its geographic location? 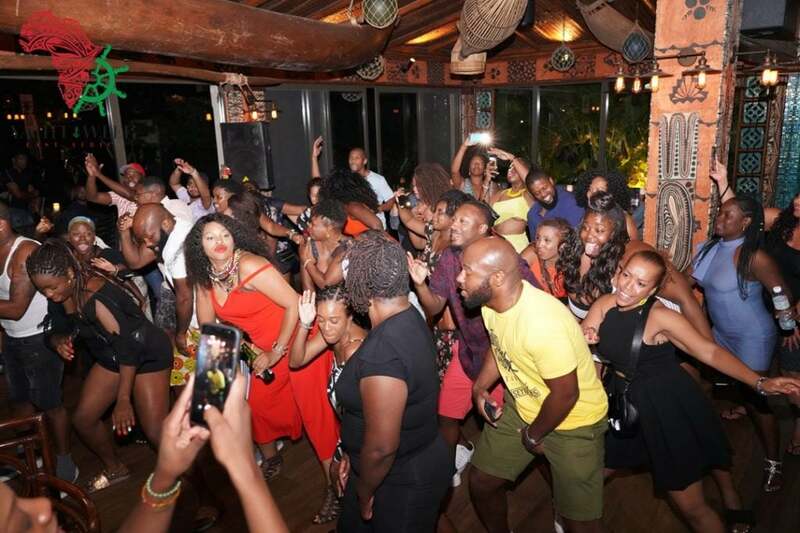 First and foremost, Yacht Week East Africa is curated with people of color in mind. When I visited those sailing events in Europe, I noticed that even though we make the best of the experience there, we didn’t necessarily feel as though it was curated with us (people of color) in mind. For Yacht Week East Africa, it is not only a sailing and travel experience, it is also a diasporic initiative. As a pan African I believe that we are stronger when we are connected. I’ve had an amazing time here in Tanzania these last three years, and I wanted to share it with as many of my brothers and sisters as possible. You moved to Tanzania three years ago. What sparked the desire to move to the continent? I’m from the Southside of Chicago, and I grew up in a pan African community. We were taught to respect and honor Africa and its traditions, languages and history. I was taught all of that as a kid. I’ve been enamored by Africa ever since I was young. As I got older and started my career as well as my personal travels, I sought opportunities that would eventually bring me to the continent. It was my ultimate goal. Three years ago, I started a position that was based in Tanzania. Once that scope of work ended, I decided to stay. I’m still here and it’s one of the best decisions that I’ve made. How do you hope to change the mindset of those who may have generalized stereotypes or negative depictions of Africa? I consider myself to be at the forefront of rewriting that narrative about what Africa is, what it means, and what it could be for us. If it’s one person at a time, one group of people at a time, or one cohort of Yacht Week East Africa sailors at a time, then I’m totally fine with that. I truly believe that there is a strong contingent of African Americans that are very much interested in visiting Africa. They just may not know where to start or which country to visit, since it’s a huge continent with so many experiences available. Ultimately, what I want to do is share the experience and give many people the experience, so they can go back and tell others, so we can rewrite this narrative together and bring people to the continent. What were some of the challenges you faced with the inaugural Yacht Week East Africa sailing in 2017, and even in its second year? We’ve learned a lot. We’ve learned our target audience — our African American brothers and sisters. We’ve learned how they respond out on the water, and on yachts. There’s a certain standard of yachts that we require to use. There’s certain amenities that we want to make sure we have. For a lot of our clients and guests, it’s their first time on a yacht. So, we understand that we need to be as informative as possible on the front end before the event and provide educational opportunities so that people are really prepared to be out on the water. For a lot of us, this is our first time, so we want to balance the amount of time that we’re on the water, and also give people the opportunity to disembark so that people can get off of the boat and explore. It’s also very important for us to provide as diverse an experience as possible. In addition to the sailing and the partying, there’s also the cultural aspect which is a really important part of Yacht Week East Africa. We also want to give time for relaxation and self-exploration as well. What are your plans to expand Yacht Week East Africa? We will definitely expand to multiple times a year, as we already have. We will read demand and offer it as necessary. It is strategically named Yacht Week East Africa because I want to showcase the entire region and the entire coast if possible. Last year we were in Tanzania and Zanzibar, this year and next we’re in Seychelles, and we’re also looking at holding the Kenya and potentially Mozambique. We’re also looking to create a land-based division, because these beautiful places that we’re sailing are just as beautiful as you’re exploring them by foot as well. And we want to offer other excursions such as a Kilimanjaro climb, followed by a few days in Zanzibar on the beach. We’re looking at curating different types of experiences. For now, we’re mainly focused on East Africa and part of that is because I’m uniquely positioned because I’m on the ground and live here. How has this experience impacted local East African communities? Our Tanzanian, Zanzibaris and Seychellois brothers and sisters have welcomed us with open arms as I have brought the groups over. Also, the local tourism board, hotels and different vendors have also welcomed us and have been really amazing. The majority of our clients have been from the U.S. but we’re also looking to target other African nations. We have a lot of brothers and sisters who are really interested in seeing the rest of the continent. There isn’t enough intercontinental travel in Africa and I’m definitely pushing for that. I see people from South Africa, Nigeria and other countries coming into East Africa and I see that as an opportunity. And as with most places, the locals don’t necessarily see the sights or want to visit them as quickly as visitors or people from outside the country, but there are some that are really interested, and I want to tap into that.